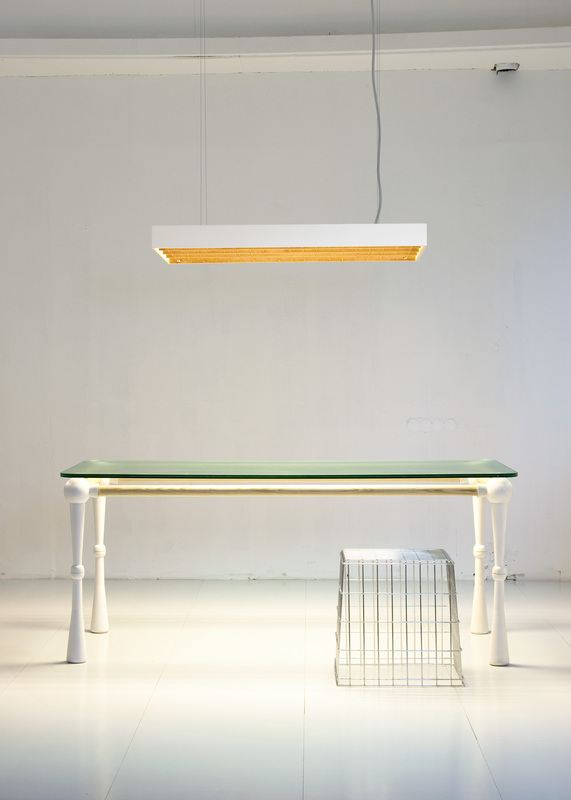 Lamp Zoé is based on the concept of the classic tungsten light with the grid as commonly found in office spaces. Embedded in a structured ceiling, the white, gleaming light is usually chosen to create an atmosphere for concentration and productivity. Zoé breaks with the cliché, fetching the archetype from the cool work-environment, introducing it into the home living space. 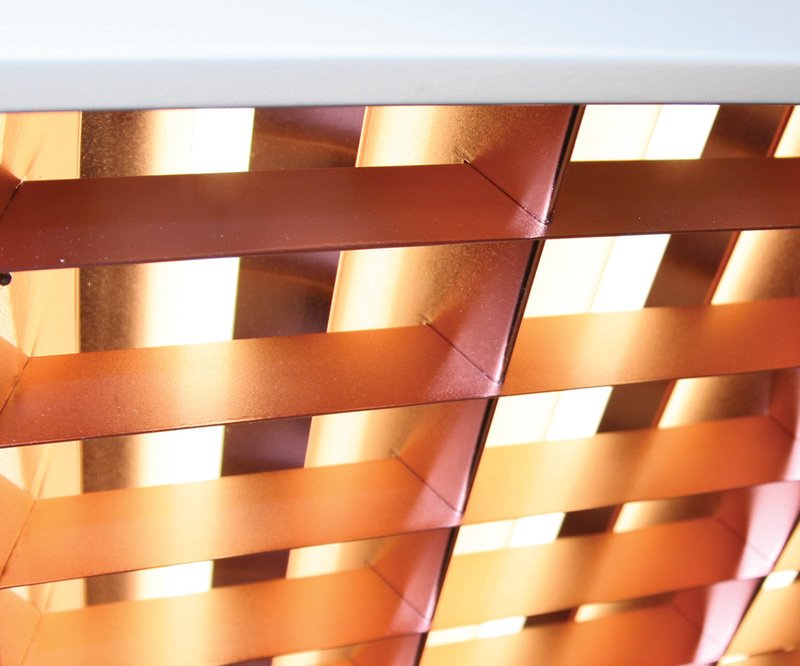 Due to their copper colouring, the ribs of the grid create a warm, shining tonality. The radiating, soft light cone sketches out a cozy space. 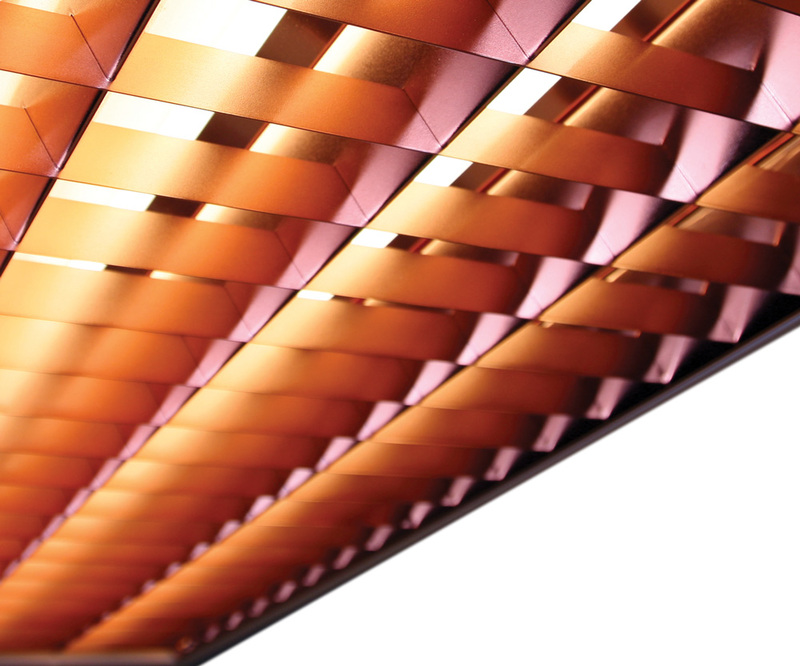 Fitted dimming devices on the four tungsten lights add flexibility in use and atmosphere. Enclosed in a white box, the lighting object hangs from the ceiling.